Give your feedback on SIPRI's newsletter! SIPRI released the tenth film in its short-film series 2016—A Year of Reflection. The film focuses on the dangers and opportunities of emerging technologies for the future peace and security landscape. It features Dr Aude Fleurant, Director of the SIPRI Arms and Military Expenditure Programme, Dr Vincent Boulanin, SIPRI Researcher in Emerging Military Technologies, Ambassador Rolf Ekéus, SIPRI Distinguished Fellow, and Dr Gary Milante, Director of the SIPRI Peace and Development Programme. Watch the tenth film or see the whole series thus far on SIPRI's YouTube channel. This film series is produced in cooperation with Different Films Limited. SIPRI interviewed Governing Board member Ambassador Lakhdar Brahimi about the current state of UN peace operations, the recent High-level Independent Panel on Peace Operations report and prospects for the future. Ambassador Brahimi chaired the panel that produced the previous comprehensive review of UN peace operations in 2000 (which came to be known as the ‘Brahimi report’). Read the topical backgrounder on the SIPRI website. How can civil society contribute to peace in Mali? Civil society mobilized quickly in Mali after the 2012 crisis, organizing protests in the capital city of Bamako and ensuring that medical supplies reached the conflict-affected regions. SIPRI and its Malian partner CONASCIPAL have launched a new project in Mali to further support civil society on the road to sustainable peace. Read the essay on the SIPRI website. SIPRI Yearbook 2016 and the Chinese translation of SIPRI Yearbook 2015 were launched at 18 universities and research centres across China. Lora Saalman, Director of the SIPRI China and Global Security Programme, travelled to Beijing, Changchun, Hangzhou and Shanghai to present the Yearbooks to Chinese researchers. While there, she also participated in roundtable discussions on cyberspace and cybersecurity. Read more information and see photos on the SIPRI website. SIPRI is proud to announce the online release of its extended military expenditure data. Previously, the SIPRI Military Expenditure Database covered the period 1988–2015; the extended military expenditure data goes back in most cases at least to the 1960s, and in some cases to 1949. Read about major trends in the data, read more about the launch or access the data. 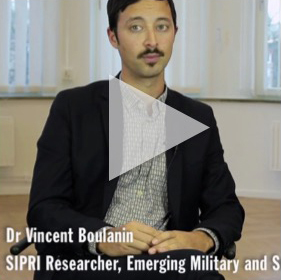 SIPRI's military spending data goes back in time! 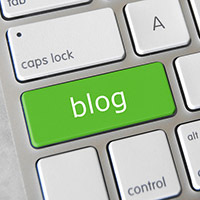 Read all earlier WritePeace blog contributions. SIPRI will round off its 50th anniversary year—SIPRI's Year of Reflection—with several events in December. On 1 December, as part of SIPRI's State of the World discussion series, we will be welcoming Caroline Delgado from the Humanitarian and Conflict Response Institute at the University of Manchester. She will be speaking on the Colombian peace process, specifically on the implications of the sharp divisions revealed by the recent referendum. On 8 December, we welcome Major General Mitch Mitchell from the Development, Concepts and Doctrine Centre (the British Ministry of Defence’s think tank). He will be in public conversation with SIPRI’s Director, Dan Smith, and together they will review the conflict horizon today and a few years ahead, covering a range of security issues, challenges and changes. In collaboration with Sweden’s Ministry for Foreign Affairs, SIPRI will launch its new report 'Climate-related security risks'. This event will take place on 15 December and will feature a key address from H.E. Isabella Lövin, Sweden’s Minister for International Development Cooperation and Climate, and Deputy Prime Minster. For more information, please contact SIPRI Director of Communications, Stephanie Blenckner. SIPRI Director Dan Smith and SIPRI Senior Researcher Malin Mobjörk will attend the Planetary Security Conference, where they are organizing the Working Group 'Translating Climate Security Policy into Practice'. This workshop will focus on integrating climate security—through climate-sensitive conflict analysis, climate-resilient peacebuilding and conflict-sensitive climate change programming—into foreign policy and development cooperation work. Dan will also moderate the conference's Closing Plenary session. For more details, see the Planetary Security Conference website and read about the Working Group. In this full-day event, SIPRI brought together diverse groups of researchers, evaluators and implementers of development and peacebuilding programmes to discuss and share knowledge on impact evaluation practices, research methodologies and experiences in policy influence with regard to fragile states. For more information, visit the SIPRI website. This conference focused on a range of issues including seizures, confiscations and marking of firearms in the Andean Community as well as illicit trafficking and the challenges facing the implementation of the Arms Trade Treaty (ATT). SIPRI Research Assistant Alfredo Malaret presented the online database Mapping ATT-relevant Cooperation and Assistance activities, which is currently being extended to cover Latin America and the Caribbean. For more information, visit the SIPRI website or contact Mark Bromley or Alfredo Malaret from SIPRI's Dual-use and Arms Trade Control Programme. SIPRI's official statement on the 2016 Nobel Peace Prize winner was quoted in over 200 media outlets following the announcement. Contact Stephanie Blenckner, SIPRI's Director of Communications, for further information. >>Dan Smith’s blog post on the outcome of the US presidential election was republished by the Swedish online magazine Mänsklig Säkerhet and New Internationalist. >>SIPRI’s Yearbook launch in Shanghai and the address by Lora Saalman were reported on in the Global Times. >>Aude Fleurant commented to Neue Zürcher Zeitung on the reactions of the arms industry to the US presidential election. >>Pieter Wezeman talked to Radio Sweden about Swedish arms exports. SIPRI and Campaign Against Arms Trade (CAAT) issued a report by Dr Sam Perlo-Freeman. The British arms industry and market, as in most other significant Western arms-producing countries, has a unique status. Although its production capabilities are privately owned, it has the national government as its primary customer. Unlike other industries, it is often the subject of active government industrial policy. This report begins by providing an overall quantitative picture of the UK arms industry, followed by a brief overview of previous studies that have looked at subsidies to arms exports. It assesses and estimates the level of direct support to arms exports—that is, the identifiable subsidies that relate specifically to exports—while also discussing the place of exports in the broader government support to the arms industry. In particular, the report looks at funding for military research and development, as well as the extent to which this can be considered to include a direct or indirect subsidy to arms exports. Conversely, the report also considers the question of whether arms exports may save the British Government money through lower unit costs for its own procurement. SIPRI published EU Non-proliferation Paper no. 52 by Dr Filippa Lentzos. In 2016 Germany invited BWC states parties to visit its main military medical biodefence facility to evaluate its compliance with BWC obligations. During the visit, Germany described its biodefence activities and the related laws, regulations and practices that are in place to ensure that the activities are carried out safely, securely, responsibly and in line with the requirements of the BWC. This paper details the two-day exercise from the perspective of the author, a civil society observer invited to take part alongside the 20 state party representatives. Download the EU Non-proliferation paper. SIPRI published EU Non-proliferation Paper no. 53 by Dmytro Chumak. Since the annexation of Crimea by Russia and the outbreak of armed conflict in the eastern part of Ukraine, development of the Ukrainian Government’s nuclear security policy has sought to strengthen the protection of civilian nuclear facilities, materials and sources inside the country from emerging threats arising from the changed security environment. This paper reviews the nuclear security situation in Ukraine as influenced by the ongoing conflict in the country. It looks at the current state of affairs in the Ukrainian nuclear industry through the prism of nuclear security conditions. Emerging threats are considered based on three main groups: (a) classic nuclear security threats; (b) threats from occupied/uncontrolled territories; and (c) ‘hybrid war’ threats. Successfully implemented measures aimed at improved nuclear security under such circumstances would ensure safe and secure operation of nuclear facilities and strengthen their resistance to attacks by terrorists and organized crime groups, as well as prevent illicit trafficking and malicious use of uncontrolled nuclear materials and sources. 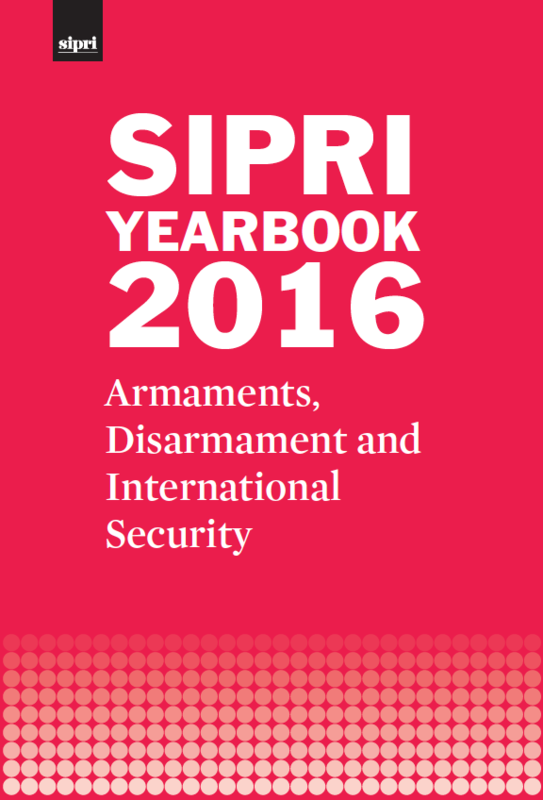 Download a summary of SIPRI Yearbook 2016. © SIPRI 2016. ISSN 1654-8264. SIPRI, Signalistgatan 9, SE-169 72 Solna, Sweden. Visit us online at www.sipri.org.